It is our pleasure to present you with two newly released publications: the second edition of The Neuroethics Blog reader and the 8.4 issue of the American Journal of Bioethics Neuroscience. Image courtesy of Flickr user Leo Reynolds. The second edition of The Neuroethics Blog reader features the most popular posts on the site, with topics ranging from human knowledge and its enhancement to mental illness to gut feminism. The reader includes posts from luminaries in neuroethics, scientific pioneers, undergraduates, graduate students, and established scholars from both within and outside the field of neuroethics. 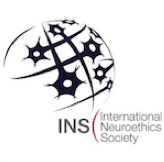 The Neuroethics Blog, now in its 6th year of creating weekly publications, is pleased to present this reader to you and would like to thank our amazing blog editorial team: Sunidhi Ramesh (Volume Editor of this reader and Assistant Managing Editor), Carlie Hoffman (Managing Editor), Nathan Ahlgrim, Kristie Garza, and Jonah Queen (Supporting Editors and blog contributors). Please find the reader below. “The prospect of a near future wherein a head transplant has become a therapeutic procedure available to people suffering from the effects of failing bodies has been surrounded by pageantry, vitriolic responses, and a sense melodrama that has made a caricature of what discussions of neuroethics can and should be . . . It is our position that averting our gaze from the development of technologies and techniques that we find morally repugnant or technically incredible does not free us from the results of those techniques and technologies. Indeed, if we fail to examine and carefully consider this technique and the technologies attendant to Canavero’s work, we risk something greater than the value of our self-satisfaction at the moment of declaring our disinterest. Issue 8.4 also contains numerous open peer commentaries that generate a rousing discussion of the ethics of head transplantation. We would like to thank Karen Rommelfanger for coordinating this special issue and Paul F. Boshears for his contribution to the issue. 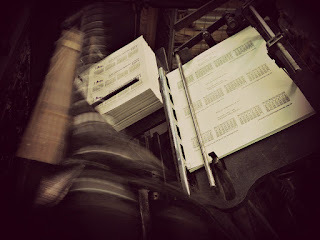 Keep an eye out for the official publication of Issue 8.4 in the coming weeks. Please enjoy the latest blog reader and issue 8.4 of AJOBN!